Former Super Eagles midfielder, Emmanuel Amuneke has warned the Super Eagles defenders to be watchful of the duo of Riyad Mehrez and Islam Slimani ahead of next month’s 2018 FIFA World Cup qualifier in Uyo. Both players have been enjoying rave reviews with Leicester City for their goals, assists and cunning style of play in both the Premier League and Champions League, where they have won all of their three matches in the group. Nigeria are top of group C with three points, having won their opening match 2-1 against Zambia in Ndola while the Desert Foxes of Algeria managed a 1-1 draw against the Indomitable Lions of Cameroon in Algiers. The November 12 encounter could go a long way in determining the fate of both teams considering the fact that a win for the Super Eagles could put them five points ahead of the Desert Foxes. 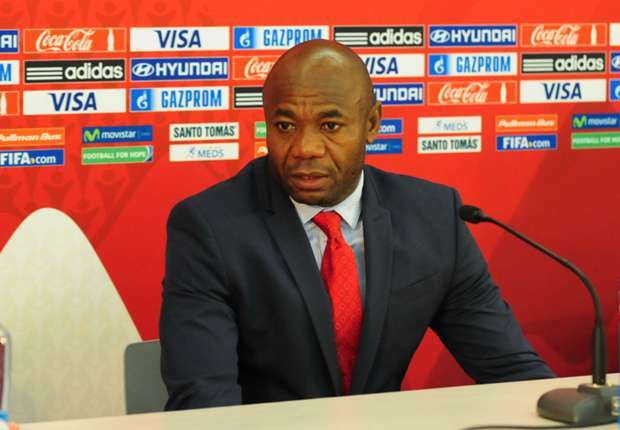 However, Amuneke, who was a member of the victorious Super Eagles squad that conquered Africa at the 1994 Cup of Nations in Tunisia, told Soccernet.com.ng that the team must tame the deadly duo of Slimani and Mahrez if ‎Nigeria is to pick the maximum point. “Watching players such as Riyad Mehrez and Islam Slimani gives me a big scare because they are very dangerous and must not be giving a chance in the 18-yard box. I have no doubt that we have capable defenders in William Paul Ekong and Leon Balogun who can match them strength for strength and in experience.